Starting week three of peace. Day 15! Today’s peace is not made of wood. 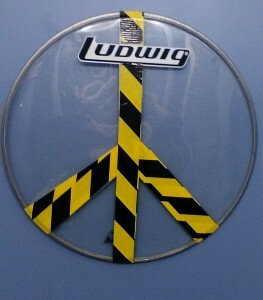 It’s constucted from a pre owned drum head and stylish duct tape. I had this old head sitting around and thought why not? I had a much more complicated vision but this simple version works. 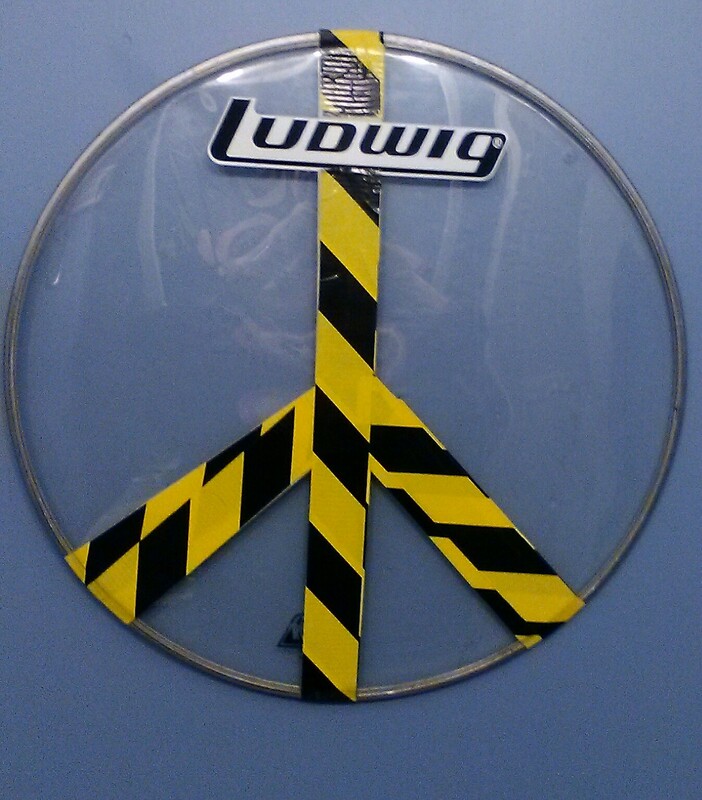 I have a 14 inch tom head, another bass head and a roll of diamond plate duct tape. So I may do this or something like it again. This entry was posted in 365 days of peace, art, on-going projects by brighid. Bookmark the permalink.